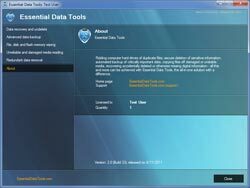 Protect your data from potential threats and data loss. Keep important information safe with our data backup and synchronization software. It's easy to use, but powerful and reliable. 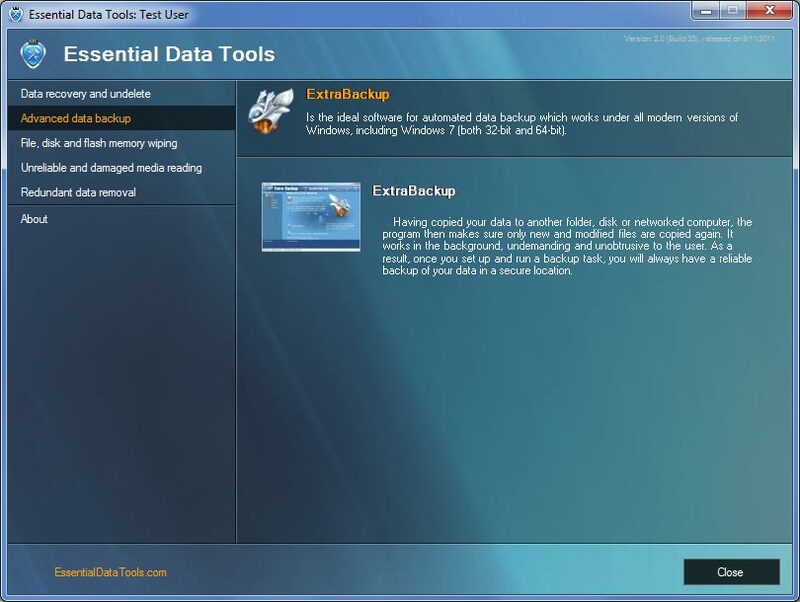 Be smart and never lose your data -- with ExtraBackup! 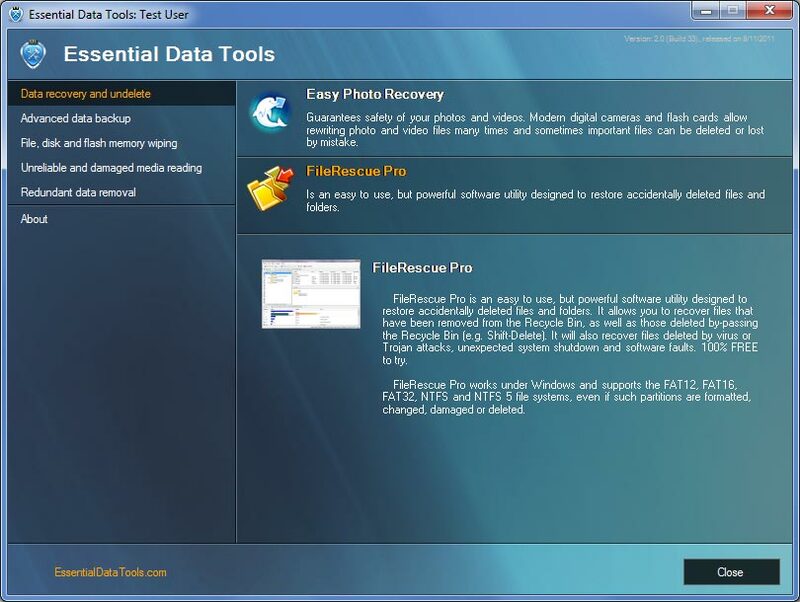 Make sure deleted files cannot be recovered. 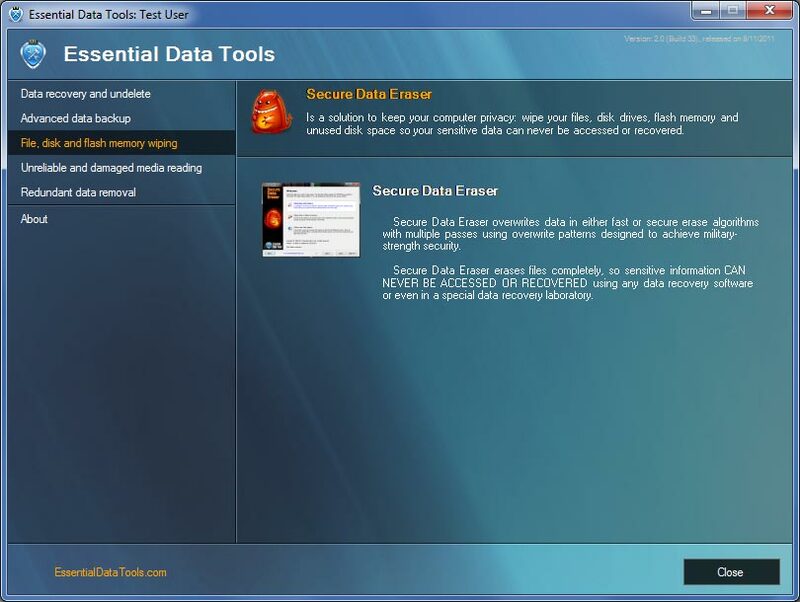 Use file eraser to securely delete sensitive data by overwriting it several times. Delete cookies, surfing history, typed URLs, temporary, and recent files. Clean up the tracks of your offline and online computer activities. Effectively read files from scratched CDs/DVDs, unreliable LAN (Wi-Fi) network or defective floppy/hard disks. Resume downloads from a remote PC if the connection was broken during copying. 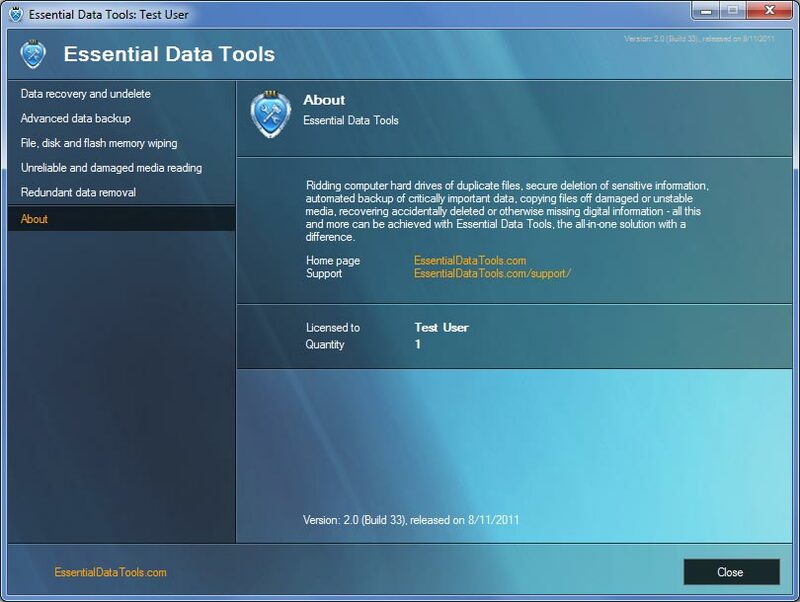 Essential Data Tools is shareware. If you would like to use all its features a registration is required. You can order the fully licensed version of Essential Data Tools over the Internet with any major credit card. You are awesome. I am a school teacher and I had my grades saved on a disk. The disk said that it had an error and it could not be read. I was starting to panic. I used your program and within 10 min. I had my grades. You saved me alot of work. Thanks!